Business and IT leaders understand that in the digital era, competitive advantage is not necessarily determined by the company with the lowest prices or best products. Competitive advantage is determined by an organization’s ability to make the best decision, with the right people, in as short a time as possible, regardless of where they are. The desire to capitalize on digital transformation has put an emphasis on mobility, as this enables workers to access more information from more locations, which is why in the past few years, the number of mobile workers has skyrocketed. 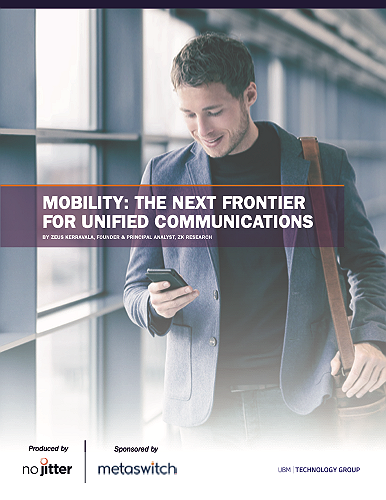 According to the 2018 ZK Research Mobility Survey, five years ago, just under 30% of workers could be considered mobile, defined as spending more than 20% of their time away from their primary workplace. Now, 52% of all workers and 90% of knowledge workers are mobile.